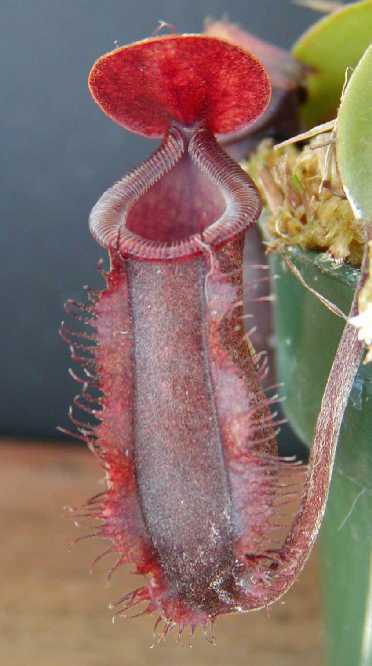 Nepenthes muluensis X lowii is a highlander hybrid between N. lowii and N. muluensis. There are several locality variations in N. lowii so I don't know where the parent N. lowii was from. I grow N. muluensis and it is a nicely splotched dark red and creamy yellow pitchering plant. 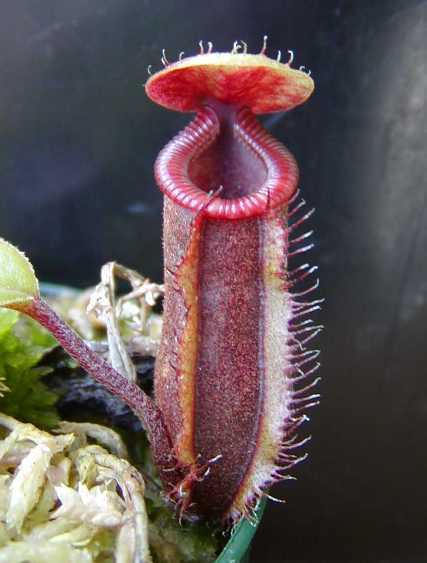 Anything hybridized with Nepenthes lowii has the potential to be a stunning plant and that's why I purchased it. My space is limited so I try to purchase only hybrids that I can adequately take care of. This hybrid is a naturally occurring hybrid that is fairly available as of late. What I don't know is if this particular hybrid was from seed collected that turned out to be a hybrid or was actually hybridized in a greenhouse. I originally thought it wasn't a naturally occurring hybrid until more information surfaced. The plants appear to be rather slow growing for me for as long as I've had them. I've found that N. muluensis is a fairly moderate grower compared to N. lowii so I kind of expected this hybrid to be a little more vigorous than what I've seen so far. I recently bought a few larger plants compared to the first offerings. By large I mean around 5-6" inches. Nowhere near vining or adult stage. Large plants haven't been available yet as well as any photos. Maybe in a year or so some nice adult photos of this hybrid will become available. 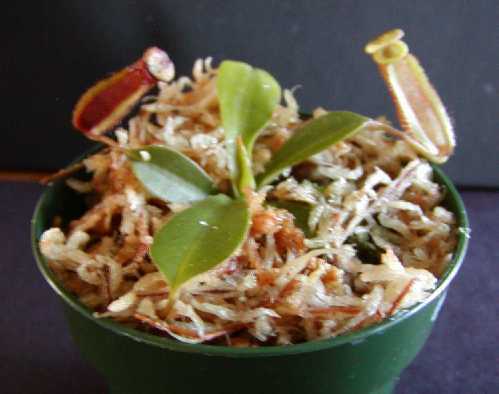 Borneo Exotics states that this hybrid is a small growing plant and would be a good candidate for terrariums. Also they list plants are from 3 different clones.